Walk a Mile by Sarah Madison: Release Day, Book Tour, Book Sale & Giveway! It’s here! Today’s the release date for Walk a Mile, book two in the Sixth Sense series. I’m both excited and nervous about this one! Excited because at long last I’m ready to launch the sequel to Unspeakable Words, and nervous because it has been a long time between stories. The story has been selling like hot-cakes in pre-orders, which is encouraging. Pride Promotions has set up a fabulous book tour that will be taking place over the next two weeks, starting tomorrow with stops at the blogs of Louise Lyons and Parker Williams. I have an awesome soundtrack to Unspeakable Words that I want to share with everyone (and which I’m listening to right now), and the final touches are being put on a book trailer. After all, you don’t want to wait years for the next installment, right? Well, I promise you won’t have to! In the meantime, Happy Release Day to me! 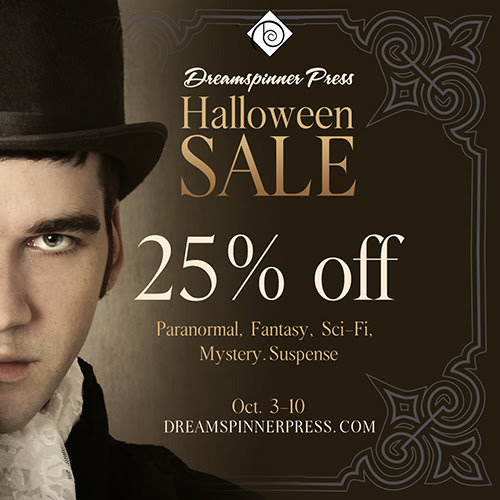 I almost forgot, Dreamspinner is holding a Halloween Sale! 25% off all Paranormal, Sci-fi, Fantasy, Mystery, and Suspense! I think that just about covers most of my titles with them! So if you’ve been thinking about buying Walk a Mile or something from my backlist, now is your chance to get it at a great price! 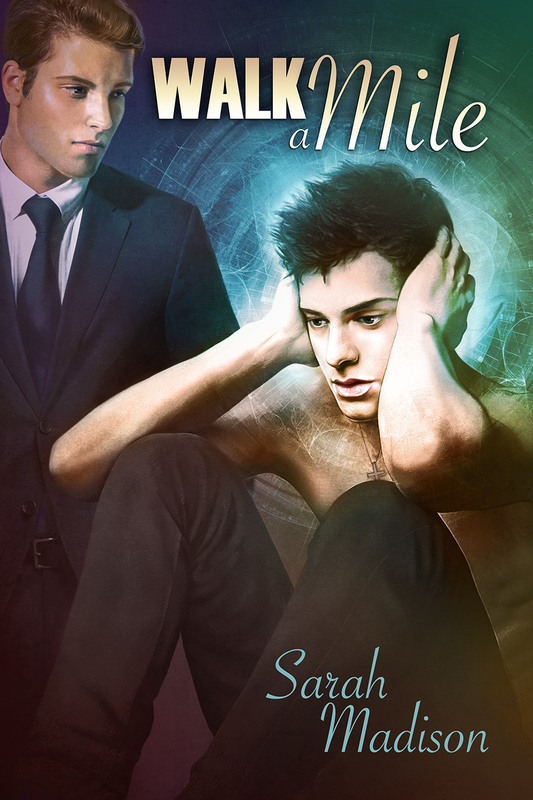 This entry was posted in Uncategorized and tagged announcements, contests, discounts, Dreamspinner Press, interviews, paranormal, promo, Sarah Madison, Unspeakable Words, upcoming release, Walk A Mile by Sarah Madison. Bookmark the permalink. Just to say that I’ve posted the comments up at Goodreads and I’ll do Amazon UK tomorrow. Am really excited for you! Sarah Madison recently posted..Walk a Mile by Sarah Madison: Release Day, Book Tour, Book Sale & Giveway! It was awesome to pull up Dreamspinner Press today, at 7:45, and there was your new book! I loved the first one, and was thrilled when you announced it would have sequels. I can’t wait to read it tonight. Oh yay! I hope you enjoy it! 🙂 I’ve been like a little kid with too much sugar all day long! It’s here at last! I’m so excited, both selfishly – I can’t wait to read this – and for you.